We are excited to announce that a new feature, Kindle Library Lending, will be coming later this year. Kindle customers will be able to borrow Kindle books from over 11,000 public libraries in the United States. Amazon discussion boards have been buzzing about this for a while. After the usual polite back and forth, the discussion has more or less divided up into armed camps, with those wanting better library access on one side, and those who hate libraries, would prefer not to read a book from the library, and consider any book that hasn’t been digitized in .azw format to be not worthy of their time. I count myself in the first camp, as I like to support libraries if I can, but I want them to be up-to-date with the latest technology. I also would prefer to check out an eBook, rather than buy it, as I’m not fabulously wealthy. Kudos to Amazon for listening to their customers. I’m looking forward to my first visit to the Kindlebrary! This entry was posted in Books & Reading and tagged Amazon Kindle, books, e-books, kindle, Libraries, postaweek2011. Bookmark the permalink. Wow. I have to admit I thought this was an elaborate joke, but I’ve checked it out, and yep! 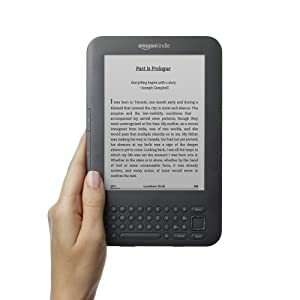 As a new Kindle owner, and not the richest guy on the planet, I applaud this move! I check their discussion boards for little tidbits like this every couple of weeks. I’m glad to hear about this, and like you, surprised, pleasantly.